Traveling presents a wonderful opportunity to try something new and make comparisons with what you are familiar with. In fact, a lot of avid travelers say they tend to develop better standards about a lot of things as they explore different places more. One of the best ways to acquire new and better standards when traveling is by going on a gastronomic quest. For example, do you love the pho of the Vietnamese restaurant in your hometown? When you visit Vietnam, how about going on a pho adventure to compare the version your hometown restaurant offers with what you can get from the street vendors in Hanoi, as well as the top pho restaurant in Saigon? This activity is not only fun, but it will also allow you to discover if it has been serving authentic flavors you have been enjoying all along. And when it comes to embarking on food adventures, there are specific locations around the world that are just perfect for it. One of them is Abu Dhabi. It is a cultural melting pot. You can find practically any type of cuisine here because of the large expat population of the city. 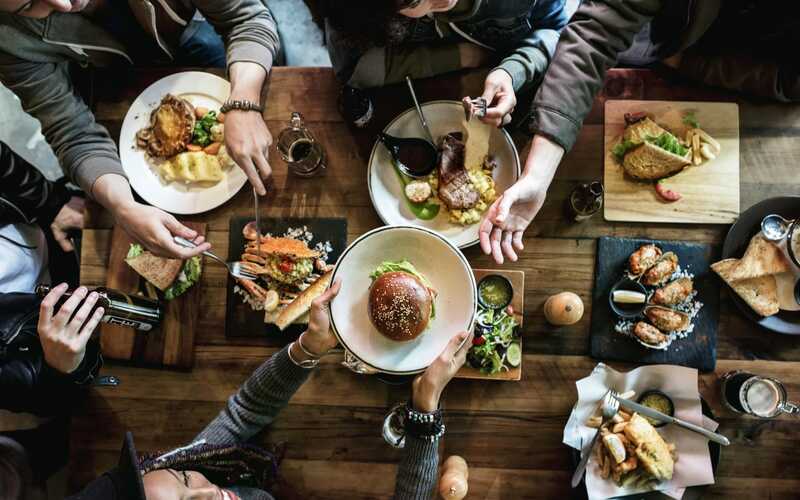 Many of these expats have decided to build their own restaurants or partner with top restaurants from their own countries to introduce their traditional flavors to the Abu Dhabi masses. Are you curious about Filipino food? Families of contract workers from the Philippines have set up family-friendly canteens that offer authentic Filipino dishes. There’s also a big Filipino restaurant chain that has established itself here. Abu Dhabi also boasts a profusion of Mediterranean restaurants, many of which were actually developed by expats from the region who wanted to cater to their community, as well as anybody who’s interested in their cuisine. 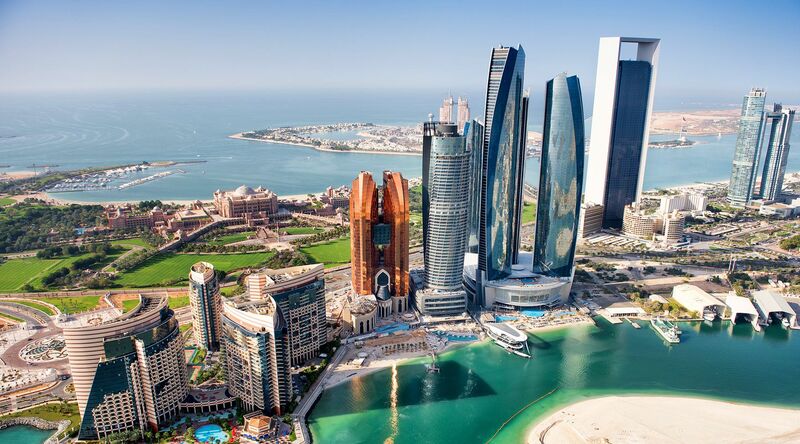 Abu Dhabi has become the home of some of the world’s top restaurants. The eclectic food culture of the capital has encouraged top chefs and international restaurants to establish their presence in Abu Dhabi. Thus, you will find branches of popular dining destinations you may have already seen in other countries here. For instance, steak lovers will find a Hollywood-favorite steak restaurant in Abu Dhabi. It has become a highly frequented dining destination for locals as well. Not only are the steaks offered here absolutely topnotch, but the place is also known for its relaxed and comfortable ambiance for their diners. The food scene is constantly growing. The expat population in the capital not only keeps the food scene uniquely diverse but also dynamic and growing. There’s Italian, Chinese, Indian, Pakistani, Turkish, British, French, and whatever else you can think of in terms of cuisine to enjoy. The city’s food scene keeps up with food trends and even launches its own. This is why you can find everything from hip Instagram eats to exciting fusion dishes here. Typically, anywhere you see a long queue of people at lunchtime and weekend evenings most likely has the trendiest gastronomic offerings. Food adventure on a budget is easy to pull off in Abu Dhabi. Despite the extravagance of the city (which definitely rivals Dubai), Abu Dhabi is rich with budget-friendly dining stations. Small neighborhood cafés and family-owned restaurants also offer delightful options. And, of course, urban locations have a lot of street food stalls where you can get everything from Emirati snacks to Mexican churros for cheap. Plus, there are food bazaars to look forward to, and they are usually held over the weekend to better cater to food enthusiasts. It is no wonder Abu Dhabi has risen to be an important gastronomic destination. It offers the best of the world and you can expect it to surpass your expectations as the food scene strives to meet the fast-evolving taste of the diverse population and a large number of tourists that visit the city.